I have fairly advanced Osteo-Arthritis in both my knee's and just spent all of April in my home city of Boston preparing the way for knee replacement surgery. As a veteran, I get free health care which includes knee replacement. The chief orthopedic physician agreed that I need new knees but the wheels of the VA turn slowly and it won't be until sometime this summer before I can be slotted in. He did suggest Cortisone injections in both knees for pain reduction but again, the slow wheels precluded getting an appointment for such injections before my pre-determined departure date. 30 hours seated in a cramped airline seat did my knees no good and they have been much more painful and stiff since arriving back in Bangkok last week. I had researched Cortisone shots in Bangkok in the past but came up empty. I decided to try again. I showed-up today (Monday) at 9AM and was immediately ushered to the Registration Desk where as a first time patient, I had to fill out a few short forms. They copied my passport, (necessary) insisted I sit in a wheelchair and rolled me up to the 2nd floor screening area where my BP/temp. was taken and a nurse fluent in English asked the usual round of questions. 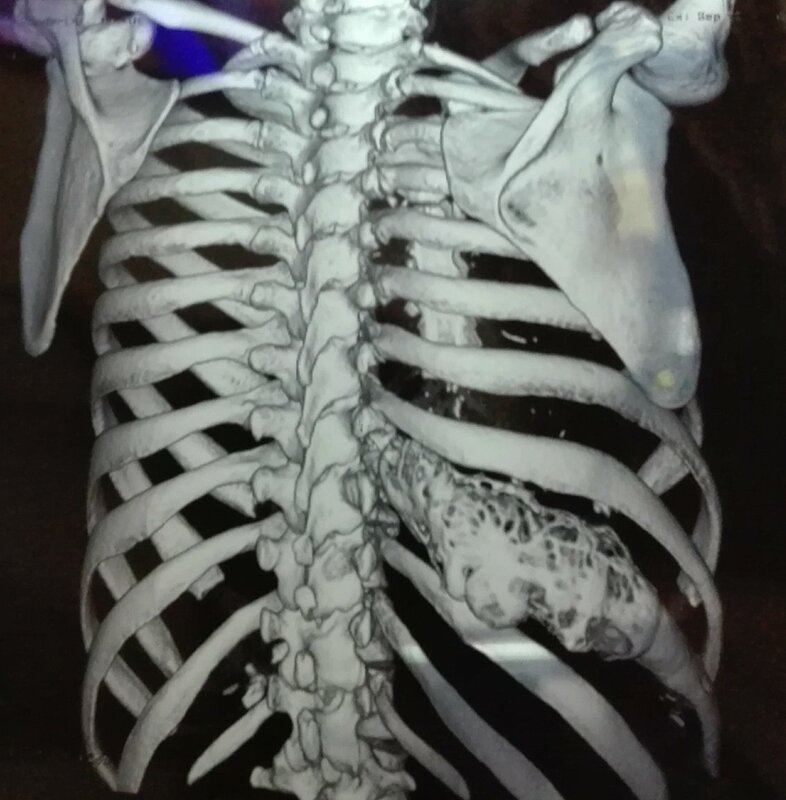 I had thought to bring along a CD of my X-Rays and Radiologist reports so they did not insist on doing their own X-Rays as many local hospitals try to do. I was then rolled to a waiting area and in about 15 minutes, taken in to the office of Dr. Somchai Kuptniratsaikul. He asked why I was there, (excellent English), listened, then reviewed my X-Rays and quickly scanned the reports I had brought along. He agreed that Cortisone would probably give significant relief. We did discus some other options such as Synvisc but he thought Cortisone had a better chance of working and noted that Synvisc was significantly more expensive: no up-sell, which impressed me as it is so common here. We went ahead with the Cortisone injections: one in the left knee, 2 in the right. I was more than a little apprehensive, as I admit to being a little girl when it comes to injections, but he had a good touch and all I felt were a few minor twinges...a happy surprise. He told me my knees would probably still be sore for a day or so, then I should notice improvement. I have to say I noticed markedly less pain as I walked away and I don't believe it was just a placebo effect. He also gave me some powerful pain pills just in case. Pharmacy and cashier took about 15 minutes. I was climbing into a Taxi at 10:45am, less than two hours all in. Needless to say, I was impressed and highly satisfied with my overall experience at Bangkok Christian Hospital and would urge anybody seeking a local Bangkok hospital for treatment to consider it. It may not have the amenities of the well known Five-Star facilities but if cleanliness, competence and cost are important to you, BCH fills the bill. I will report in a week or so about the ongoing effectiveness of the steroid injections. Im registered there myself and never had any problems. To be recommended. Very glad you had a good experience, wish you all the best for what's to come. What would also be of high interest, how were the female nurses ?!! The nurses, were pleasant, competent and normal looking. You would perhaps prefer Yanhee Hosp. I have recently spent some time at Christian and have nothing but high praise for the staff and doctors. Yes, there can be some communication issues at times, but usually quickly resolved. The doctors are first rate, many come from Chula and also work at Bumrungrad. I saw my doctor during his hours at Bumrungrad and he told me to get the surgery done at Christian - same doctor, same anesthetist, same equipment, just cheaper "air" - I had previously seen him at Christian so there already was a connection with the hospital. They worked directly with my insurance (Aetna Thailand) and all I had to pay was 60 baht on a +100K baht bill. Amazing hospital but as I Sheryl has said " in Thailand it's the Dr. you choose that's really more important than the hospital " with that said many times I locate the better ( and more experienced ) Dr.'s I want to see and they are available at BCH even if they are not there full time and just there a few hours once a week like the cardiologist and ENT Dr.'s I use . This hospital has been around for decades and is also very very clean . Good to know - thanks to O.P and all other contributors. someone i know very well was seen there for a pinched neck nerve that complained of arm weakness and pain going down same arm was not even examined by the orthopod there, just sent for a scan. Hi all, I want to get medical treatment from Bangkok Christian Hospital. I couldn't find the way to contact on website (I don't know Thai Language). Can anyone please help me to contact them to get an appointment and estimated cost for Rib Resection by thoracic surgeon. By the way, I am 45 yrs old female from Bangladesh. 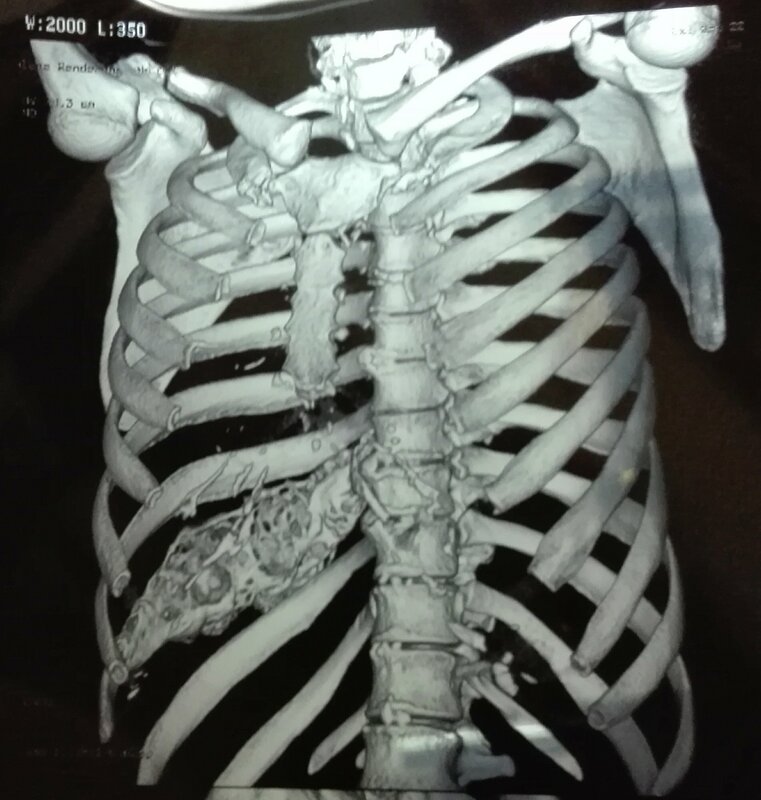 During a CT Scan, it was discovered that there is a marked expansion with cystic lesion and calcifications measuring about AP-4.0cm X TD-4.0cm X CC-5.2cm and suggested that I've Monostotic Fibrous dysplasia of the 9th Rib (Right). Furthermore, I was recommended to undergo the Rib Resection procedure. I need your suggestions and advice me with estimated cost and estimated duration of days to complete the procedure as soon as possible. They have English speaking staff so you can write your question in English. i would think hospitals in india can also do this surgery and the cost significantly less in India also, and quality high. Agree. It is doubtful BCH has a surgeon with experience in this, I think they only have 1-2 thoracic surgeons total. At a private hosp[ital in Thailand this will likely cost over 400,000 baht and it will be a struggle to find surgeon with appropriate experience. I will get back with more specific suggestions later but indeed India is best bet both in terms of price and finding a surgeon with experience performing surgery for this condition. Grab Car taxis - good service? Change from non Imm B multi entry visa to tourist visa? POLL ~ Its hot outside. What temperature do you set your aircon to escape it?